Today’s blog comes from guest writer Ruoyun Xu, and was inspired by the theme of the 3rd Annual Evening for Austin Leading Ladies, which is Leading a Gr8 Life! If you told me one year ago that I will be running and building my own marketing firm, I would have laughed it off and disregarded it. One year ago, my worst nightmare became reality, I just graduated from college and I was jobless and had to navigate the job market. Everything that I worked hard towards while I was in college did not amount to the one necessary goal that needed to be accomplished: to find a job before graduation. Navigating the job market was a struggle where I had to decide if I wanted to settle for a sales job or take the risk of internships to get the experience I needed. All of my dreams coming into college have become vague day dreams as my only focus now was to make things work and piece together jobs to pay the bills. By midsummer, I had begun working in a marketing firm full time. I quickly rose up the ranks and was able to maximize my full potential by learning how to navigate all 5 departments. By November, I had a hand in every department but there were struggles and I found it harder to get out of bed everyday to get ready to work. I realized that I was simply living in my work, my job has taken over my life to the point that I will wake up extra early in the morning from anxiety and my body felt like I had no sleep at all. I had lost myself in it all and in the end, what I was working on did not grow me as a person. The challenge was gone, instead it was just a never ending cycle and there is no more growth left. That’s when I came to the realization that I should instead focus on building something from the ground up that I loved. If I was giving my all, why not give it to something that is more worthwhile? Now, I am running my own marketing firm with my own clients and designing personalized online marketing strategies for small entrepreneurs just like myself. 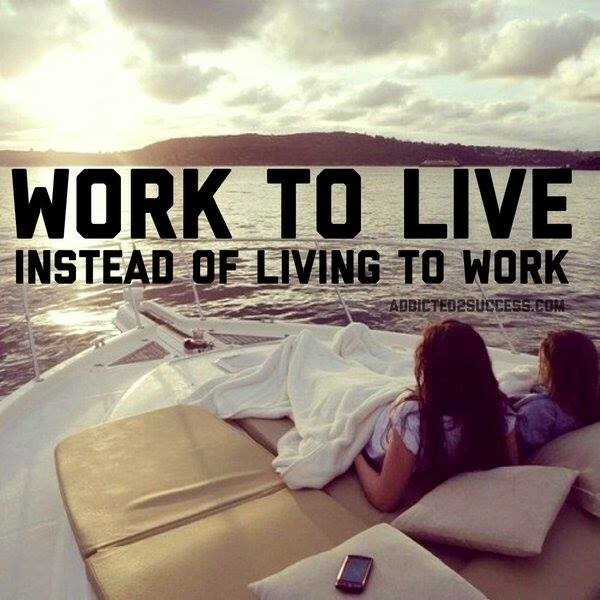 To me, leading a Gr8 life is working to live instead of living to work. I am working towards building the life that I want as my own boss. I am building and working towards a life that I love to do. They say if you love what you do then it doesn’t feel like work. To lead a Gr8 life to work towards building a way to live the life that you love, so it no longer feels like work but instead feels just like another adventure in your life. Next → Next post: Who Let You Down?